Arsenal were believed to have had a bid of around £750,000 turned down by Wanderers for the highly-rated youngster. According to the Daily Mail, Arsenal have bid £1.2million for Bolton defender Rob Holding, which would rise depending on appearances. Wanderers just been relegated to the third tier after financial trouble and a terrible Championship campaign. 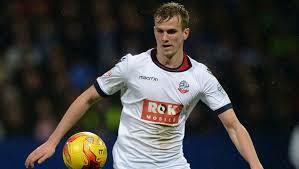 Although the Gunners have lodged a bid the Daily Mail claims that Bolton want closer to £4million for the defender. The Gunners look to be searching for a new centre-back this summer, with Per Mertesacker and Laurent Koscielny in their thirties and the formers contract up next summer. Napoli’s Kalidou Koulibaly is reported to be one the Gunners first choice transfer targets this summer. Barcelona centre-back Javier Mascherano has also been linked with a move to north London, as his future in Catalonia in doubt following tax problems. Holding seems to be a completely different category to Mascherano, who is a proven player in a top European league, while Holding is a youngster who has only played in the Championship. As we all know though Arsenal boss Arsene Wenger loves a bargain and signing young players. Holding was linked with a big money move to Everton prior to Spanish boss Roberto Martinez being sacked. If Arsenal to join the elite again they need to add real quality to their squad this summer, sorry to sound like a broken record. The Gunners have made a very good start to their summer recruitment drive by signing Granit Xhaka from Monchengladbach. Veteran French boss Wenger does not have a habit of spending big sums on numerous players each window, even if he does occasionally sign the odd big money player. If he has spent £30million on Xhaka then he is unlikely to spend big money on a forward or a centre-back. 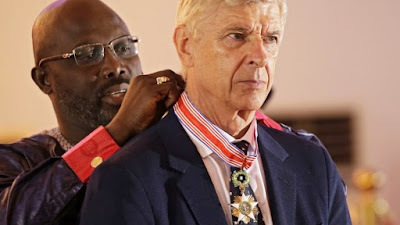 It is more likely that Wenger will attempt to fill the squad with cheaper signings, which has not exactly been a recipe for success in the last decade. I cannot say I have seen much of young holding in the Championship, but he is reportedly highly-regarded. At 20-years-old he is still very young and may develop into a quality player in the future. With Arsenal having failed to win the Premier League title in 12 years the signing of a youngster like Holding will not help the Gunners win that elusive title. Something tells me this summer’s transfer window will be an interesting one of speculation, but as usual very little activity. Which defender should Arsenal target this summer?